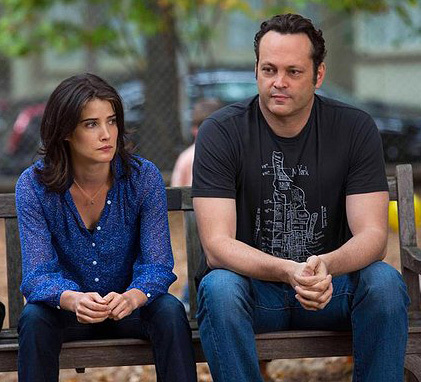 In Delivery Man Vince Vaughn’s familiar affable manchild character progresses to affable manchild who kinda sorta grows up. The constant fast-talking immaturity that has become his trademark is replaced with occasional fast-talking immaturity set to a lower volume and broken up by labored pensive gazes and forced sappiness. His routine can work with the right material, but Delivery Man is the latest in a recent string of drab vehicles that are becoming less and less distinguishable. This version of Vaughn is named David Wozniak, a delivery driver for his father’s butcher shop who’s racked up a mountain of parking tickets and a substantial debt to hoodlum-types. Soon after his girlfriend Emma (Cobie Smulders) announces she’s pregnant he learns there was a mix-up at the sperm bank he frequented 20 years prior, resulting in him being the biological father of 533 young adults. 142 of them are suing to learn his identity, only knowing him as “Starbuck” – his alias on the donor forms and also the title of the Canadian film Delivery Man is based on. David attempts to balance work, his family (current and future), his debts, and this new revelation in hopes of becoming a responsible adult and proving to Emma he’s husband-and-father material. 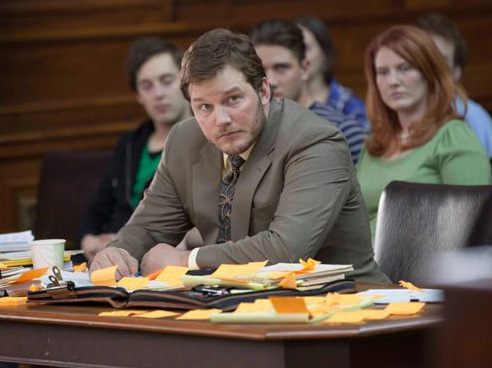 David’s guide through the legal process is buddy and inept lawyer Brett (Chris Pratt). His first mistake is handing over an envelope filled with profiles of the offspring and urging David not to open it. Of course it’s opened, and David tracks down his progeny to observe and awkwardly get involved in their lives. This being a volume game there’s not enough time to get too complex so the kids are broadly defined: The NBA player, the struggling actor, the drug addict, etc. David also wanders into the picture at the most dramatically opportune times: When he hits the game-winning shot, when he needs help making the big audition, when she overdoses. It all feels a bit icky, too, like we’re observing a manipulative stalker in action. These kids have no idea who David is, but he keeps turning up. Don’t ask me what he hopes to gain by repeatedly jumping off the high dive while staring at his lifeguard son – other than an unfunny montage of falls resulting in increasing levels of injury. The worst quasi-relationship is established with a special needs son confined to a wheelchair and unable to communicate. The character is used strictly as a means to show David has some integrity, sitting with him in the garden and assisting the staff at his group home. This might be offensive if it weren’t so inept. 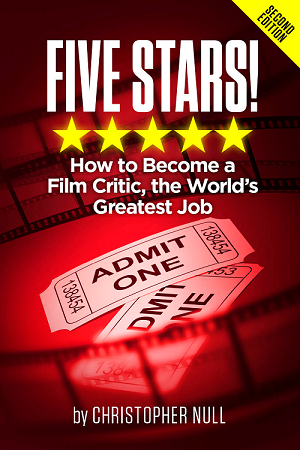 Instead of building momentum or encouraging introspection on the issues of parenthood and responsibility, writer-director Ken Scott, who also helmed Starbuck, just keeps piling on the plot. Emma becomes a vessel to approve of David’s incremental gains in reliability. One of the weirder kids learns David’s identity and blackmails him for a place to stay, providing some of the more uncomfortable comedic moments. Media latches on to the trial, with jokes about “Starbuck” appearing on late night talk shows (reaffirming the film’s lameness, the highlighted comedian is Jay Leno). The issue of money owed to the mob comes and goes and is then suddenly solved. And so on, and so on. 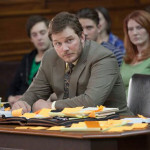 The few good moments are provided by Pratt, injecting an appropriate level of goofiness. His practicing of a courtroom speech in front of his kids is good for a laugh, and the look on his face when he makes an amusing, if predictable, flub during a live TV interview is priceless. But ultimately Delivery Man is just another Vaughn show; repetitive, mind-numbing, and comically and emotionally barren.